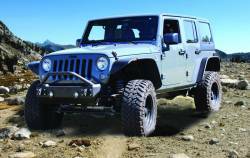 Description: Iron Cross has manufactured a nice and affordable series of Jeep bumpers. 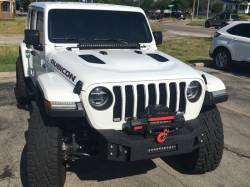 All front bumpers are winch compatible. 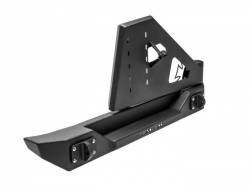 They include a fairlead mount and are available in a stubby, stubby with bar, full width and full width with bar. 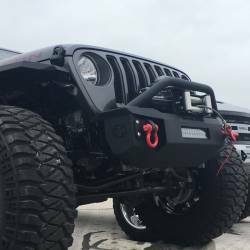 Description: Iron Cross has manufactured a nice and affordable series of Jeep bumpers. 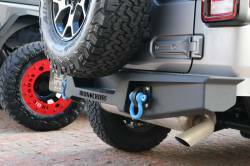 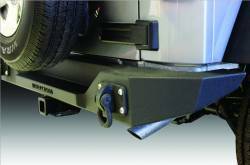 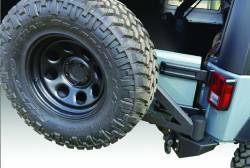 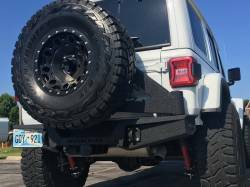 Both front and rear bumpers have D-Lug plates for mounting shackles. 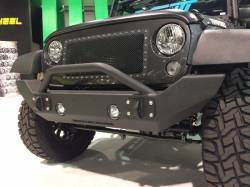 These bumpers are nicely finished with a matte black textured powder coating.